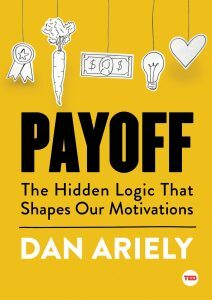 Editor’s Note: The following is an excerpt from “Payoff: The Hidden Logic That Shapes Our Motivations,” by Dan Ariely. For more on the topic, tune in to tonight’s Making Sen$e report, which airs every Thursday on the PBS NewsHour. A few summers ago, I was having dinner with a few old friends when my cellphone rang. A woman I didn’t know told me that she got my phone number from a mutual acquaintance. She asked me to stop by the local hospital as soon as I could. This woman had read about a trauma that affected me as a teenager and thought I’d be able to offer some helpful advice to her best friend, someone I’ll call “Alice.” I deeply dislike hospitals for reasons that will soon become clear, but my motivation to help was stronger than my aversion. I couldn’t refuse the request. I left my friends and headed to the hospital. When I met Alice there, I learned that she and her family had just suffered a terrible tragedy: two of her teenage children had been badly burned in a fire. After describing their condition to me to the best of her ability, the distraught mother asked me what I thought she should tell her kids about their injuries. They were drifting between consciousness and unconsciousness, suffering awful pain and fear. Alice wanted to understand what they would want to know about their injuries, about the treatments ahead and about their roads to recovery. She also asked me what they would not want to know. She asked me about these things, because she had heard of my personal story. Many years earlier, when I was a teenager, about 70 percent of my body was burned as the result of an accident. I spent about three years in a hospital. During that time, I underwent many treatments and surgeries. And I had been in a very similar situation to that of Alice’s kids. I did not know how to answer her questions, but I did my best to transport myself back in time to my own early days in the hospital. I remembered the noises. The hums and beeps of the machines. The equipment. The pain. The sounds of my fears. The phrase “pain person” echoed in my mind. It was a phrase that I must have heard at some point from the medical staff, and I took it to mean that I was someone who was completely engulfed in the intensity of the pain. Everything was defined by pain, and there was nothing else. No past and no future. There was only the pain of the moment. Nothing else. One memory that came rushing at me from those early days in the hospital was the daily removal of my bandages. Because I had no skin, the bandages adhered to my raw flesh. The nurses would rip off the bandages, then rub the freshly wounded flesh to remove the dead tissue until they saw bleeding — a sign that the underlying tissue was alive. They would then put ointment on the wounds and re-bandage my body. The next day, they would repeat this agonizing process. The only time I had a reprieve from the torture was on the days I had surgery, and sometimes the day after. Oh, how I looked forward to surgery, the bliss of anesthesia and the few days of recovery. The phrase “pain person” echoed in my mind. It was a phrase that I must have heard at some point from the medical staff, and I took it to mean that I was someone who was completely engulfed in the intensity of the pain. I did not share my memories of the bandage removal with Alice, but I did tell her that when I was in the hospital, I wanted to know the meaning of all the noises and beeps around me. I wanted to know my heart rate and blood pressure. I wanted to know the level of oxygen in my blood, the functioning of my lungs and so on. I wanted to know which sounds meant that my body was functioning and which indicated that things were not going well. I also wanted to know how long the pain would continue, when a treatment would cause the pain to increase and when I would have some relief. At the superficial level, it seemed that I yearned for information about what was happening to me, but what I really wanted — in contrast to my almost motionless experience in the hospital bed — was to have some feeling of control. I described all of these things to Alice before I left. A few days later, Alice called me, weeping. She asked me to return to the hospital. When I arrived, she told me that one of her kids had just passed away. She asked me whether she should tell her surviving son (I’ll call him “Bill”) about his brother’s death. I had no idea what to say, but again I tried to transport myself back in time. I tried to think about how — in that world of pain and difficulty, of breathing and falling in and out of consciousness, of machines and being intubated, of hallucinations and painkillers — I might have dealt with news of such magnitude. I couldn’t comprehend how anyone could handle the grief of losing a sibling on top of such pain and confusion, so I suggested that she keep the news from him as long as possible. A few months later, I got some better news. Bill was out of immediate danger, fully conscious, and more or less aware of his situation. She asked me to send her son an optimistic note about his recovery and his future. Her request overwhelmed me with sadness. I knew all too well that this kid was just beginning to heal and that the road ahead would be long and brutal. It was going to be much harder than any of them imagined. What could possibly motivate me to revisit the suffering I’d endured? As I reflected on Alice’s request, I remembered the first time I walked out of my hospital room by myself. I got out of bed and shuffled to the door, opened it and stepped out, proceeding very, very slowly and painfully. I was determined to make it all the way to the nurse’s station. When I got there, I saw a big mirror. Without thinking, I took another step and looked at myself. It was hard to believe that the creature in the mirror was 17-year-old me. Up to that point, I had seen different sections of my body from time to time, but this was the first time I had a full view. I saw legs that were deeply bent and covered with bandages and arms that appeared to be dangling lifelessly from my shoulders. My back was hunched over, and my face was a rainbow of colors. The right side was completely blue and red and yellow. Pus oozed from different places; pieces of skin hung from my face. My right eye was swollen shut. Only the left eye, stuck in this strange disguise, seemed recognizable. The rest was very, very different than the healthy person I once was. It didn’t look like an injured “me,” because there was almost no resemblance to how I remembered myself; it looked like someone else. Only it wasn’t. What could possibly motivate me to revisit the suffering I’d endured? After staring at the thing in the mirror for a few more moments, I couldn’t stand the pain in my legs anymore. I turned around and shuffled as fast as I could back to the bed, where I struggled with pain for the next few hours. This time pain was my rescue. Unable to think about anything else, I returned to being a pain person. I also remembered how, about a year and a half later, my scars were almost completely closed and I was in a much, much better state. But the improvements and the increased hope that came with feeling healthier were also accompanied by new and unexpected challenges. My scars — now red, thick and slightly raised — had somehow developed the ability to shrink very quickly. Every time I would sit with my arms or legs bent for an hour or two, maybe watching TV or just resting, I wouldn’t be able to straighten my limbs and neck because the scars would shrink just a little bit, limiting my range of movement. To get the scars to stretch back to their previous length, I would have to push and push against them, trying to straighten my arms and legs while almost tearing my skin. Sometimes I couldn’t completely regain my range of movement. When this happened, I’d have to undergo a new operation to remove some of the tightened skin and replace it with new skin, only to go through the whole process again. I hated fighting my body all the time. It was betraying me, and I loathed the daily, never-ending fight. Torturous as the memories were, they also drove me to try to help Alice and Bill. Alice wanted me to send Bill a hopeful, positive note, but knowing what I knew, I asked myself: How optimistic should I be? What could I tell him? How honest could and should I be? The reality was that he was probably going to have a deeply miserable life for a very long time. I thought about all the treatments that I still had to undergo 30 years after the accident. It was not clear to me whether he was better off alive or dead (thoughts that I had had for years about my own painful existence). And it was not clear to me that his prolonged agony (another thought that I had had about myself) was better for him or his family. The whole process of creating my message for Bill was tremendously distressing, and I felt a great relief the moment I pressed the “send” button. Alice replied two days later, telling me how much my note had helped her son and how much she appreciated it. She asked me to send him another one, and — despite the difficulty of the first one — I have been sending him messages ever since. A few months later, I went to see Bill in the hospital. I didn’t get much sleep the night before, because I was torn between my desires to help, on one hand, and my deep worry about how I would react to seeing him. 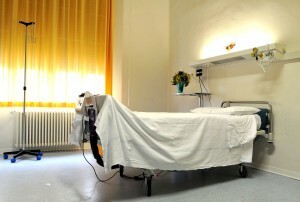 (I had been back to hospitals quite a few times, but only as a patient, not as a visitor.) To my surprise, the visit with Bill was quite good. We talked about all kinds of topics — the hospital, life outside its walls, family and the complexity of living with injuries and treatments. After a few hours, a nurse came in and told Bill that he was going to have a new type of treatment, one that I remembered having myself. It was clear to everyone in the room that this new treatment would be painful. “Can we put it off a little bit, maybe until tomorrow?” he asked plaintively. At that point, I couldn’t take it anymore. I became so anxious that I was unable to stand. I sat down, placed my hands on my knees and put my head down, trying to breathe slowly. I remembered all the times I tried to negotiate with the nurses myself — trying to delay the treatment, reduce the pain, asking for only certain parts of my body to be treated on that day. Like Bill, I failed almost every time. The nurses’ concession was not an option. As I walked away from the hospital, trying to contain my emotions, I realized something new about my injury and the way it changed my life. Up to that point, when I thought about my own suffering, I had just focused on the pain. I thought about shrinking scars. I wondered what I looked like to other people. I thought about the difficulty of being unable to regulate my body’s temperature, and the limitations of my movements—all the physical aspects of the injury. But observing Bill’s failed negotiation, I realized the devastating role that helplessness played in my own experience. It made me more deeply appreciate the challenges of being badly injured, the complexity of recovery and the ways that my experience had deeply changed me. I also realized how many of our motivations spring from trying to conquer a sense of helplessness and reclaim even a tiny modicum of control over our lives. From “Payoff,” by Dan Ariely. 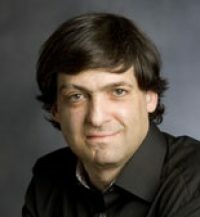 Copyright © 2016 by Dan Ariely. Excerpted with permission by Simon & Schuster, a Division of Simon & Schuster, Inc.